Pedro A. Figueredo is a visual artist working in painting, artists’ books, collage, and box constructions. 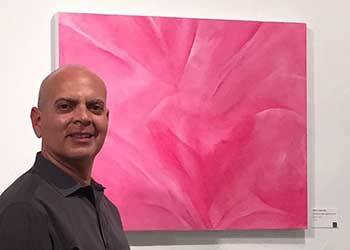 Pedro’s creates lyrical abstract artworks inspired by nature, music, literature, and emotions. He uses spontaneous gestures and precise application of paint to achieve a harmonious composition of colors, layers, and luminosity.